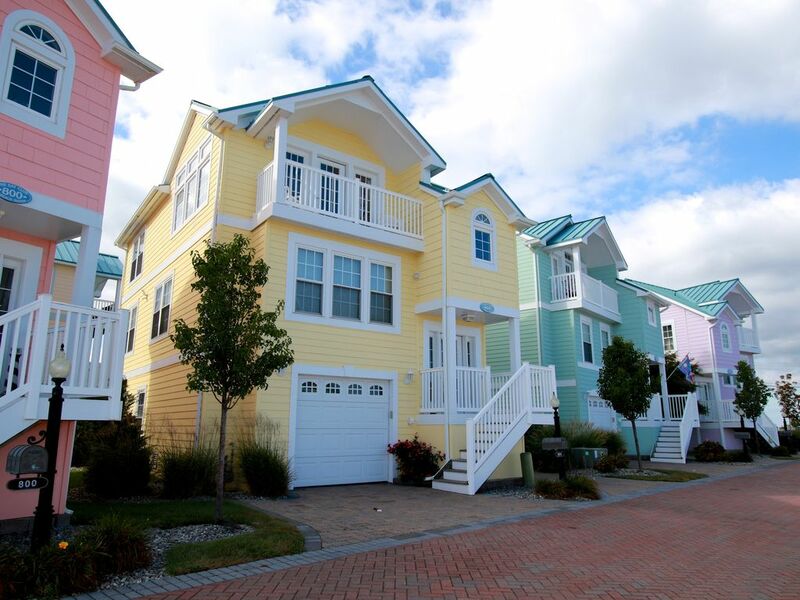 The Bay Club of Beach Haven is nestled by the bay in beautiful Beach Haven on Long Beach Island, NJ. Renting a cottage at The Bay Club comes with wonderful amenities such as an inviting community pool, access to the bay and of course the beach. Beach Haven, The Queen City, Six Miles At Sea is truly a magic place. Watch the sunrise over the Atlantic Ocean. If the beach isn't enough, then enjoy live music on the lawn at Bicentennial Park or spend the afternoon shopping in Bay Village. Dine at one of many casual or fine restaurants before dancing at a local nightclub. For outdoor recreation, BeachHaven and Long Beach Island have so much to offer. Fishing and boating are as good as it gets with access to surf fishing, public boat ramp right next door, marinas, boat rentals, deep sea fishing and fishing tournaments. Sailing, water skiing, wake boarding, windsurfing, kite boarding and surfing. RENTALS ARE FULL WEEKS WITH A SUNDAY TURN OVER ONLY. toilet, Designer fixtures and sink with granite counter. Fantasy Island, Schooner's Wharf, Restaurants, Shopping, Mini golf, etc. Bay access and views with the use of a community swimming pool. Large capacity in separate laundry room. Ironing board and iron are also located here. Use of one car garage. Parking for two additional cars at home. There is also a huge amount of public parking outside development. Use of one car garage with ample room for bikes and beach toys. Wifi for internet and cable for tv. Stainless Steel with bottom freezer. Stainless Steel gas oven. There is also a weber grill with direct gas line connection. All coordinated dishes, glasses and utensils. Fully equipped kitchen with pots, pans, dishes, glasses and flatware. There are small appliances as well including coffee maker, toaster, blender, and wine cooler. Tv located in the main living room, the trundle bedroom, and in the master bathroom. Two decks at rear of house facing pool and bay. One deck on front of house. Community pool with lounge chairs and deck furniture. Must sign pool addendum. Home was built as "model home" for community. It has many features not available in similar homes. FULL WEEK RENTALS ONLY - SUNDAY TO SUNDAY Best location WALK TO EVERYTHING. Relax on a Chaise at the Pool, or sit by the bay. Walk everywhere and enjoy the pool. The Bay Club of Beach Haven is nestled by the bay on LBI. access to the bay and of course the beach. Walk to everything including restaurants, entertainment, and shopping.